Craft A Doodle Doo: FREEBIE JUBILEE// KATE SPADE INSPIRED DIGITAL PRINTABLES! FREEBIE JUBILEE// KATE SPADE INSPIRED DIGITAL PRINTABLES! I think this a Kate Spade inspired collection is just what this blog needed - didn't it? You know, the frequent use of gold and poppy reds and bright happy greens, classy blacks and whites that you'll already find in plenty on this blog and my other free printable collections ;) With Kate Spade's recent suicide, it felt like we needed to bring that happy and playful sophistication back into style - the one that we remember from our first Kate handbag, or for her stinkin' cute stationery and home decor; now we can have it all back, or as closest to it as we get! 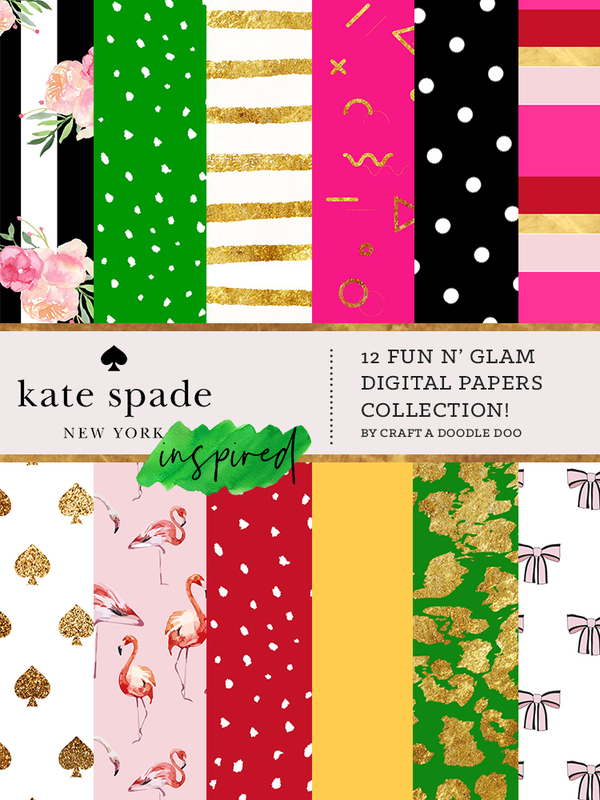 This collection has been inspired by that playful glam color palette, sweet, chic graphic prints and quotes Kate Spade often uses on their designs. 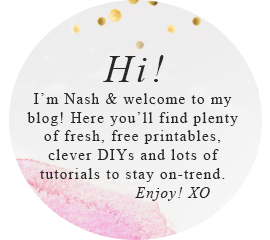 You'll find lots of use for these freebies- just have a look below! 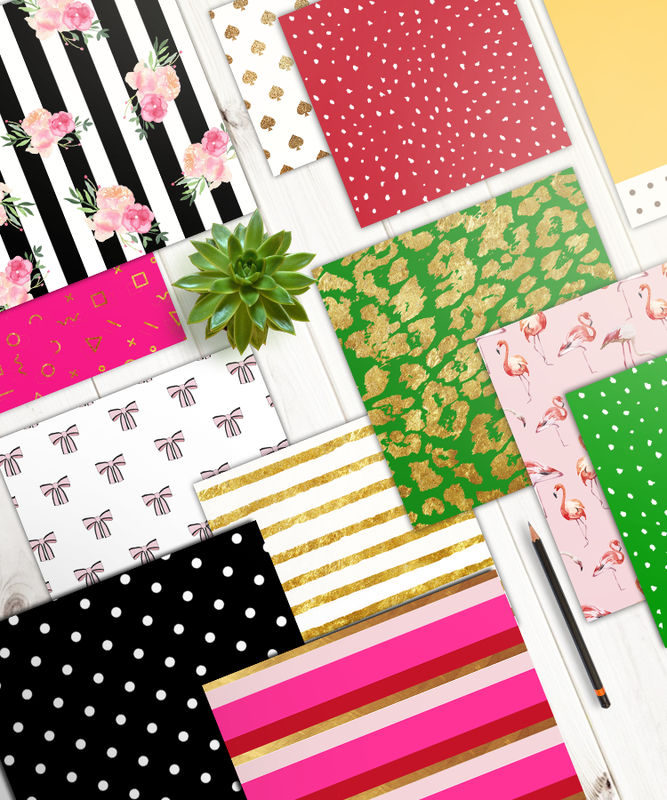 These are 12 gorgeous prints you can you for practically anything and everything- digitally or as custom made printables. For commercial use, you can find the entire collection in the blog shop for $6.00. My amazing followers can have eight of the digital papers (and 2 secret bonus prints, shh!) for FREE! You can create stunning Kate Spade inspired DIYs with these at practically no cost to get the fancy, uptown girl look. These papers perfectly match my Kelly Green Websters Pages TN. Awesome download! Thank you.